How to play keno and Win. Best way to play keno online. How to play keno and Win. Best way to play keno online. 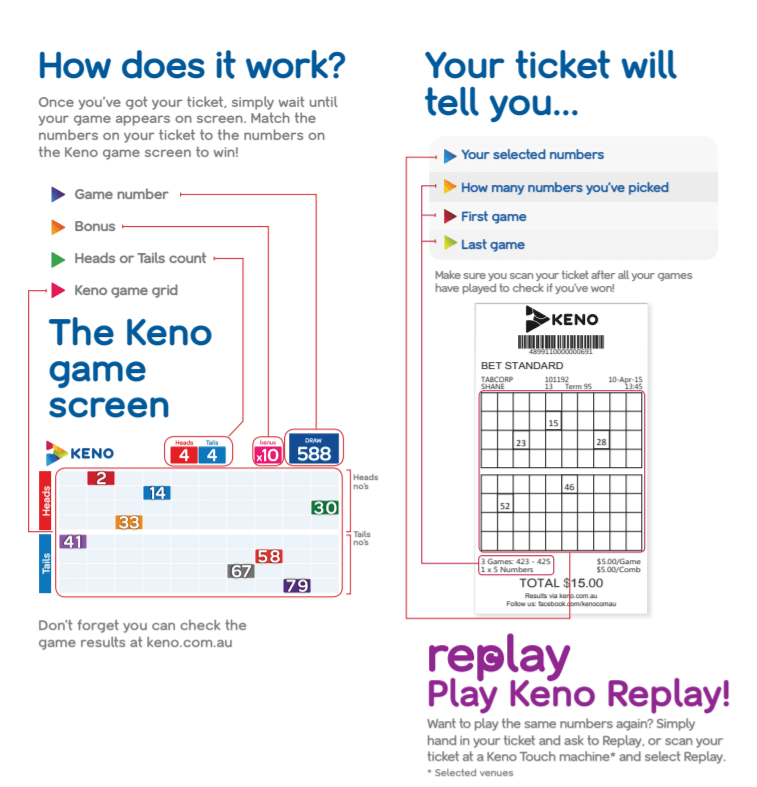 Keno is one of those games that is easy to learn, has few rules, and only requires you to be at least 18 years of age to play according to the law. So the rules to the game are simple first you get your keno card, on the card there are the number 1 through 80. You are to pick between 1 and 10 or 15, depending on the casino, numbers and then turn your ticket into the counter. You will get a copy of your card, and then you wait for the keno race to begin. What you want to happen is to have your numbers, or spots, caught. The more or your spots caught the higher your winnings. Simple, now you see why it is such a popular game although it has lousy odds. The first column, numbered 0 to 15, indicates the number of matches. The numbers selected are shown in the top row. The number of matches is cross-referenced to the numbers selected to show your payout. In the top row select how many numbers to bet on. Follow the column down until it intersects with the row showing the number of matches you had. The amount, at the intersection of the row and the column, is the payout you will receive. A “–“ indicates that there is no payout. Keno is played online at online casinos with your mobile, PC or tablet. Either play instantly or choose to download the free software and open a real money account. 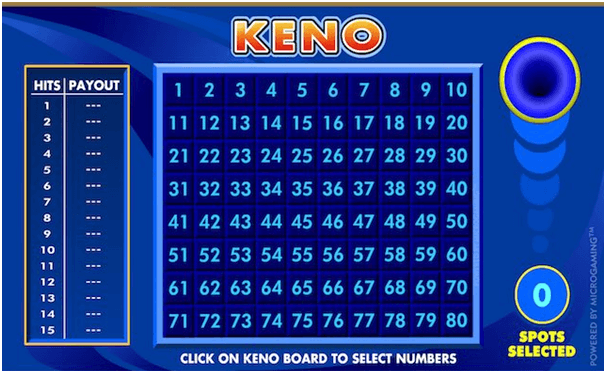 Choose your keno-board numbers by clicking the numbers. Choose between 1 to 15 numbers. The payout will vary depending on how many numbers you pick. Start the game by clicking “Play”. The numbers on the Keno board are now drawn. When a selected number and a drawn number match, the selected number will change colour. A total of 20 numbers are drawn. You can now start another game. Or collect your winnings. Now you know how to play keno. The trick to playing is winning. It can be an elusive thing to do however there are some popular techniques that are used by long term players. One such technique is choosing numbers in pairs or sequence such as 20, 21, 22 or just 21, 22. Another one suggests playing the same numbers over and over, supposedly your spots are going to catch eventually. A third possible technique is using patterns when choosing numbers especially if the draw of numbers is done electronically. 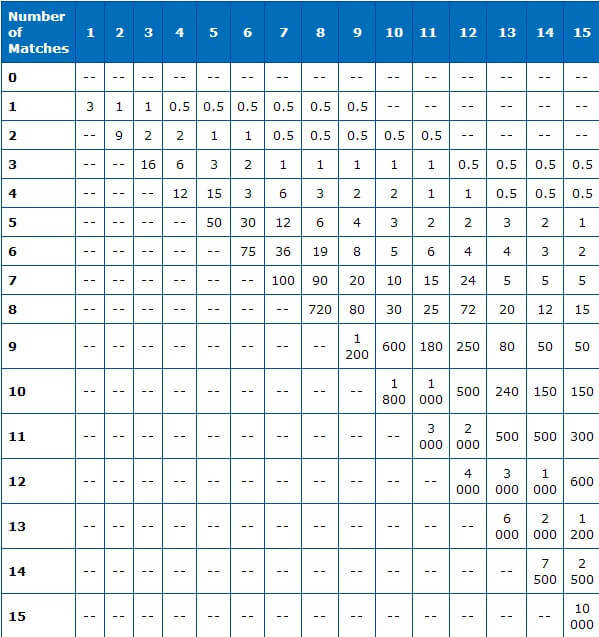 Computers use algorithms, so the chance of a pattern of spots catching is suppose to be better than the chance of having sporadic numbers across the board. There is another technique that recommends playing the numbers 1, 2, 5, 7, 10 and 11 then having two random numbers as well. You are suppose to continually change the random numbers but keep the set of numbers the same. 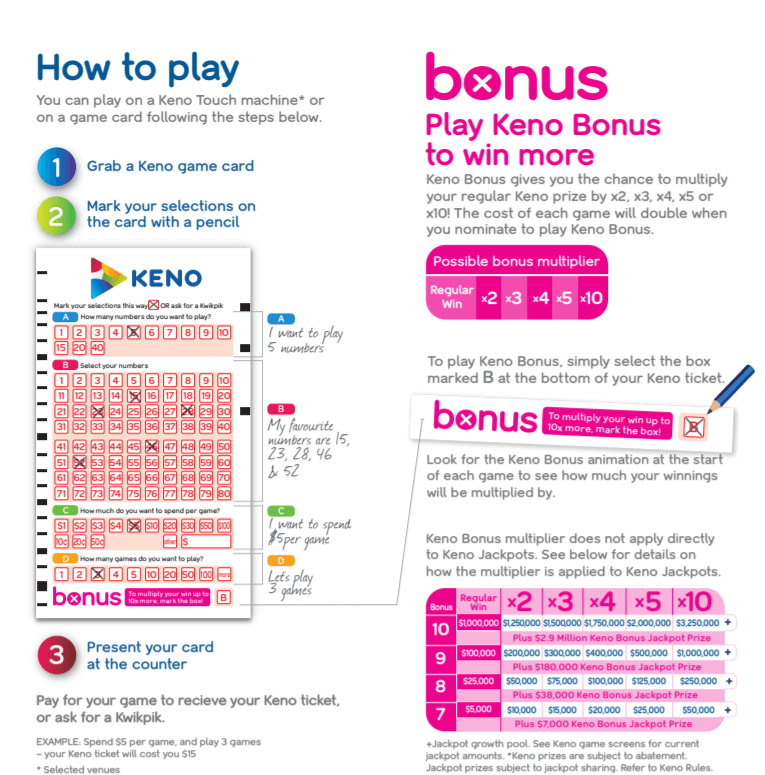 Now these may seem to be good ideas, however keno is purely a game of chance. You have just as much chance at all of your spots catching your first time out as someone who has played the same numbers at the same spot for the last twenty years. There are several ways to play keno, and the best way to play all depends on the person playing. Some people enjoy the anticipation in waiting for the numbers and seeing the excitement of those that win. If this is the case then playing in a casino is going to be the best way to play. On the other hand if you are one that just wants to play the game and does not care about being with others or you care to not wait on the numbers, then playing online at home may be best suited for you. That way you can have your own space and enjoy a game of keno that can be finished in just a few seconds of pressing the bet button.